True to its name, Hughes Springs sprang up around a natural spring that was believed to possess health-enhancing powers. During its first few decades of existence, it was a popular health resort that attracted visitors from the burgeoning cities of Dallas, Houston and New Orleans. Unfortunately, Hughes Springs began to decline in popularity after the discovery of “superior” springs near what would become Hot Springs, Arkansas. The economic shocks of the Depression era further sapped Hughes Springs’s economic vitality. However, the city recovered nicely in the years that followed World War II thanks to the construction of a nearby steel plant. Hughes Springs currently stands as an important trade town for local poultry, cotton and corn farmers. Nestled in a picturesque, water-rich landscape of rolling hills and pine forests, Hughes Springs is known as an outdoorsy place. It’s also well-connected to neighboring towns and cities by thoroughfares like Texas highways 11 and 49. Although there isn’t much water within the city limits, Hughes Springs is quite close to a number of large, man-made lakes and reservoirs. The largest of these is Lake O’ the Pines, a massive reservoir that boasts healthy supplies of trout, bass and other freshwater fish. With fewer than 1,800 people as of the 2012 Census count, Hughes Springs isn’t a particularly big town. Nevertheless, it has a strong community spirit and a unique local culture. Many of the region’s families have worked in the agriculture business for generations, and a number of others found their way to the area to staff the World War II-era steel plant. Although the city’s per-capita income is below the national average, local living costs are quite low. As such, most Hughes Springs families enjoy comfortable middle-class lifestyles. Hughes Springs may seem like an ordinary small town, but it’s filled with exciting attractions and unusual sights. For starters, the local high school’s Mustangs baseball team is routinely ranked among the top 100 high school baseball organizations in the country. On warm spring evenings, locals flock from miles around to catch high-quality baseball in a down-home environment. Meanwhile, folks who prefer peace and quiet head to nearby Daingerfield State Park, a well-kept protected area that draws boaters, fishermen and camping enthusiasts. In the next town over, the historic Daingerfield Downtown District attracts history buffs from all corners of northeastern Texas. No matter how hot or cold the weather gets, Hughes Springs residents and business owners can count on an experienced team of air conditioning service technicians to take care of all of their heating and cooling issues. 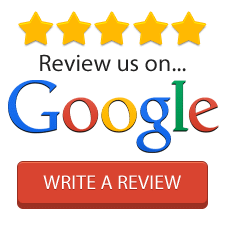 As the premier heating and air conditioning repair company in northeastern Texas, Wood Air Conditioning has served the Hughes Springs area since the late 1950s. The company’s professional installation and repair technicians are licensed and undergo background checks and drug testing. All our employees are held to the highest standards of conduct. In fact, all of Wood’s air conditioning service techs carry the coveted Technician Seal of Safety. They’re capable of performing major repair and installation jobs like new construction installation and furnace replacement as well as routine tasks like coil replacement, condenser repair, and duct cleanings. Wood Air Conditioning also carries the complete lineup of Bryant heating, air conditioning, and HVAC equipment. The company’s offerings include state-of-the-art heat pumps, furnaces, boilers, wall units, central air conditioning units, dehumidifiers and various accessories. Of course, Wood’s technicians are happy to schedule routine installation, maintenance, and repair visits. For low-cost, high-quality air conditioning repair services, Hughes Springs trusts Wood Air Conditioning.